NOWaccount enables businesses that sell to commercial and government customers to access their capital by receiving payment immediately on the invoices they choose, while their customers continue to pay according to their current trade terms and schedules. NOWaccount assumes the risk of customer non-payment, is invisible to the customer, and costs the same or less than accepting a credit card for payment. 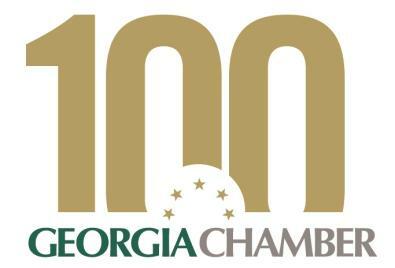 Enrollment and service fees are waived in perpetuity for Georgia Chamber members, an annual savings of more than $400! Enrollment is free, and you only pay for the invoices you decide to put through the system. Visit http://gacoc.nowaccount.com, select apply now, and complete the online application form, using the promo code GACC001 to waive enrollment and monthly service fees. Within minutes, you will receive an application confirmation email. Please review the confirmation to ensure your information is accurate. Once your application has been pre-approved, you will receive an email containing the NOWaccount Merchant Services Agreement (MSA) and an information form. Print, sign and return the completed information form and MSA signature pages to 678.268.4051 or apply@nowaccount.com. While we process your enrollment, you will receive an email containing your unique credentials and instructions to begin submitting customer credit requests for preauthorization in the NOWaccount online system. With NOWaccount, you choose which invoices you want to receive payment on NOW, while your customers continue to enjoy the free and flexible payment terms they require. You receive 90% of the invoice amount within 5 days of invoice submission. Your fee is based on the payment terms you offer, not when, or if, the customer pays. 1% international surcharge for customers outside the U.S.
Why should my business use NOWaccount? Immediate Access To Capital: Access the capital needed to fund the trade credit demands of large commercial and government customers, for less than the cost of accepting a credit card for payment. Vendor Payment Options: Your vendors can enroll in the program to get paid immediately, saving time and reducing calls to your Accounts Payable department. Risk Reduction: Invisible to your clients, NOWaccount assumes the risk of customer non-payment and provides a risk assessment on potential clients. Eliminate New Client Concerns: Demonstrates credit availability and balance sheet strength to large customers. Product & Service Fees Waived: Enrollment and service fees are waived in perpetuity for Georgia Chamber members, an annual savings of more than $400! 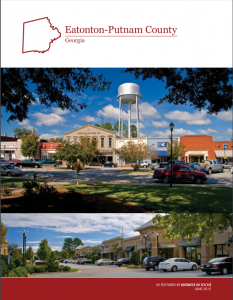 Georgia Chamber Investors now have access to the NOWaccount app for Quickbooks Online which provides a seamless connection between your NOWaccount and your Quickbooks account.